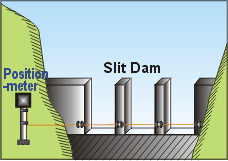 The sensor wire fixed cross the slit dam which built for blocked the rock falling. The data of the movement of sensor wire will notified. 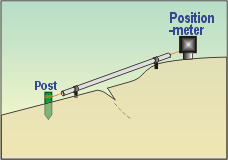 The end of sensor wire is attached to a point on potentially debris area. 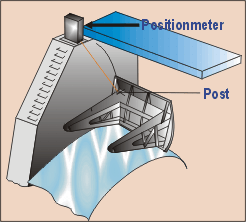 The movement of the point because of debris can be monitored and transmitted. 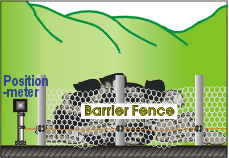 The end of sensor wire is attached on potentially unstable ground. 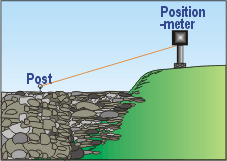 The movement of surface of slope can be monitored and transmitted.